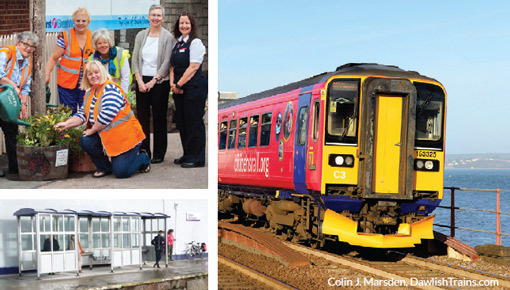 From station improvements, to more frequent services, to volunteering opportunities and local information campaigns, our work on The Riviera Line (Exeter-Paignton) – led by the Devon & Cornwall Rail Partnership – has enabled more people to use and be part of their local train services. Following the devastating storm damage to the line in 2014, the project took on a whole new level of importance. 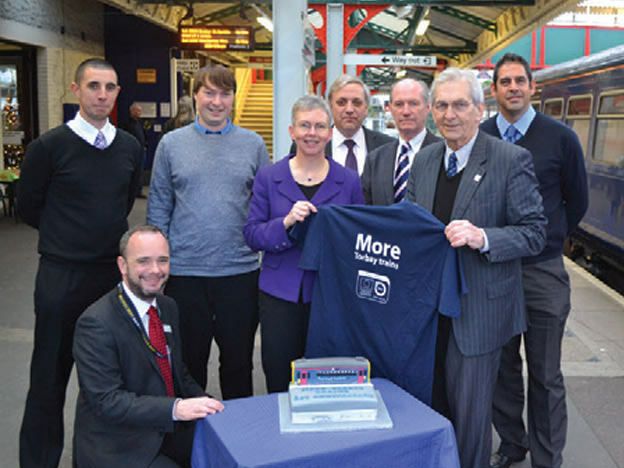 But through partnership working and engaging the community, Citizens’ Rail has helped the line to bounce back even stronger than before. Additional services between Paignton, Torquay, Torre and Newton Abbot were launched in December 2013, meaning two trains an hour during most of the day each weekday. Their success has been such that the government has committed to continuing the services into the future. 60% of passengers now rate Riviera Line stations as good or fairly good following improvements along the line. 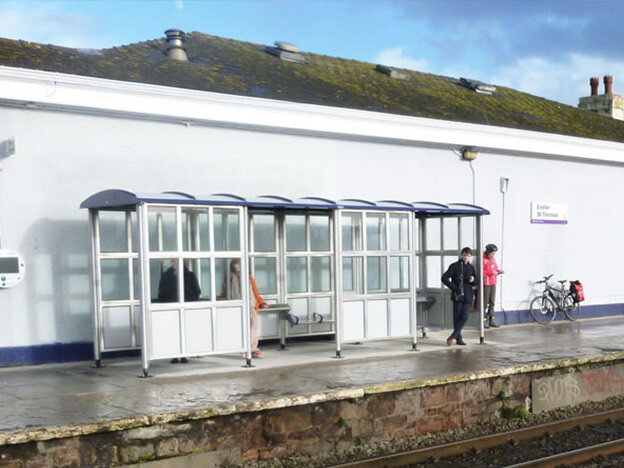 Particular investment has been made at Exeter St Thomas and Torre, where usage of the stations is up 11% and 25% respectively. This includes new waiting shelters, ticket machines and CCTV, a new eco garden at Exeter St Thomas and benches and gardening with ROC at Torre. A dedicated Riviera Line officer employed through the project engaged local residents, businesses and passengers with their railway. 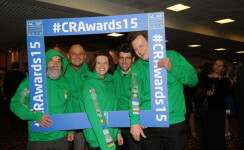 A campaign was run to raise awareness of the line and promote great value days out by train. 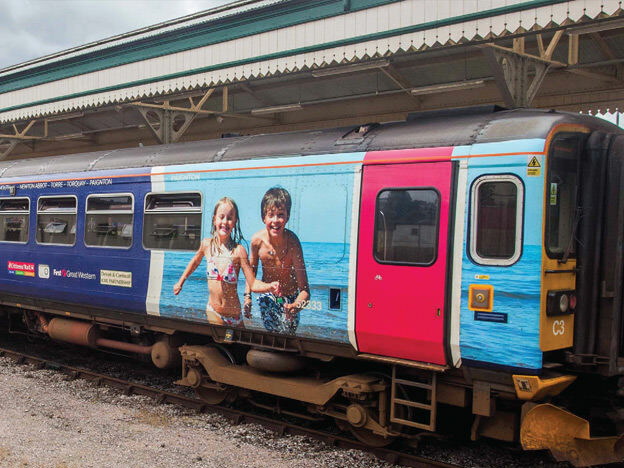 This included newspaper advertising, leaflets, online promotion and even a pair of eye-catching train liveries (shown above) made possible by Great Western Railway – look out for them across the GWR network. 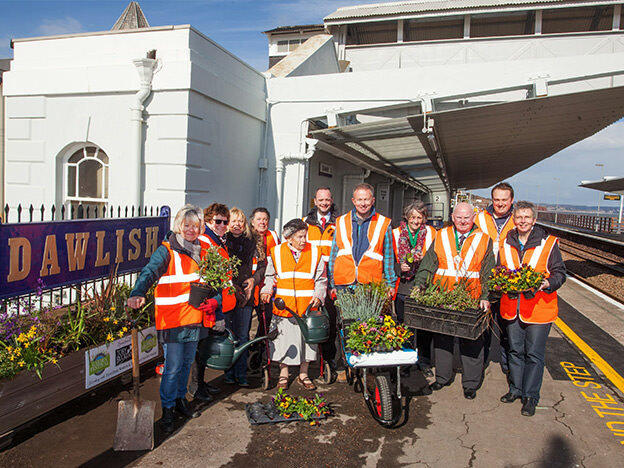 The previously dormant Friends of Dawlish Station volunteer group has been rejuvenated as part of the project, making headlines and even meeting the Prime Minister thanks to their green makeover of the station. A brand new sister group at Teignmouth followed, building on the fantastic gardening efforts of Great Western Railway staff. 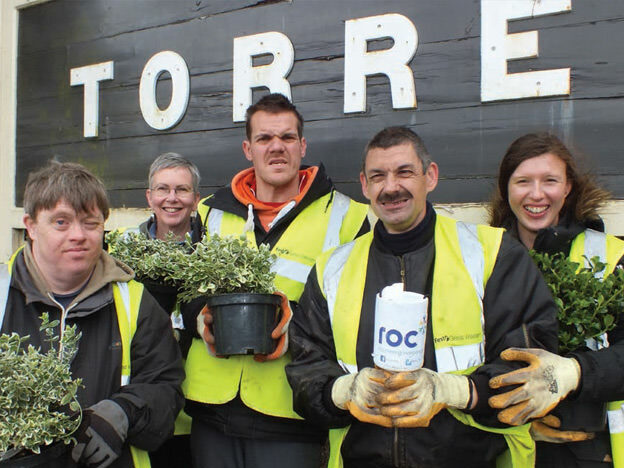 Next came the Friends of Exeter St Thomas – another new group buzzing with ideas, who have already created an eco garden at the station, with a host of other plans in the pipeline. Read more. 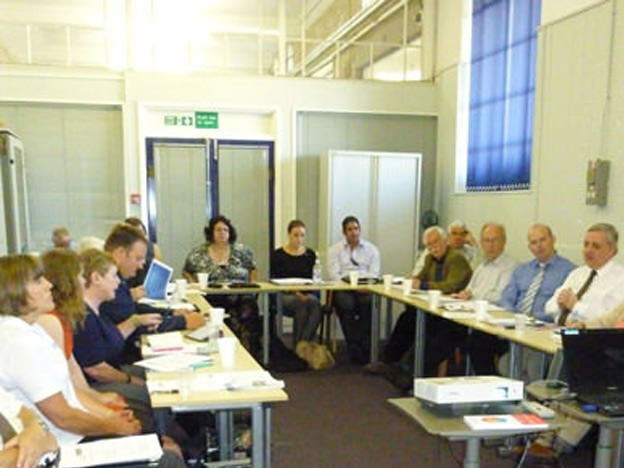 Regular line forum meetings – with attendees representing more than 30 organisations – have brought together the railway, local authorities, the health service, rail user groups and other community groups. The meetings provide a way to identify issues of concern and to agree work and project priorities. Read more. 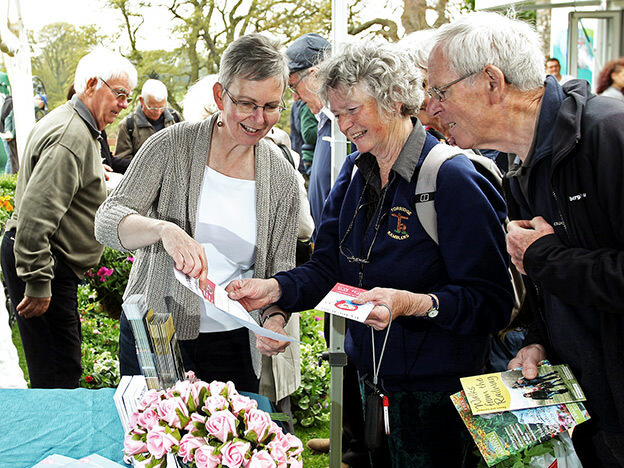 Through joint stalls with Travel Devon, we promoted rail travel at events including Dawlish Air Show and Torbay Carnival. 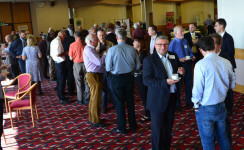 We also got more than 150 local consumer businesses involved, stocking leaflets and window stickers to promote the line. Read more. More than 500 local school children received taster train trips on the Riviera Line to encourage the next generation of rail passengers. Read more. The volunteer groups set up at stations along the line are now thriving and self-sustaining. The Riviera Line forum will continue to hold regular meetings to give local stakeholders a voice and to help the railway go from strength to strength. Where does the line go? To find out more about The Riviera Line or discuss how you, your organisation or community group can get involved, contact The Devon & Cornwall Rail Partnership on 01752 584777 or at railpart@plymouth.ac.uk. You can also visit our dedicated website for The Riviera Line, set up as part of the project.